Chop the onion and garlic (if not digested or don't like it, you can just crush it and delete it before adding the tomato) and put to fry in a pan with oil. When they are wilted add the curry powder and cook for another minute. 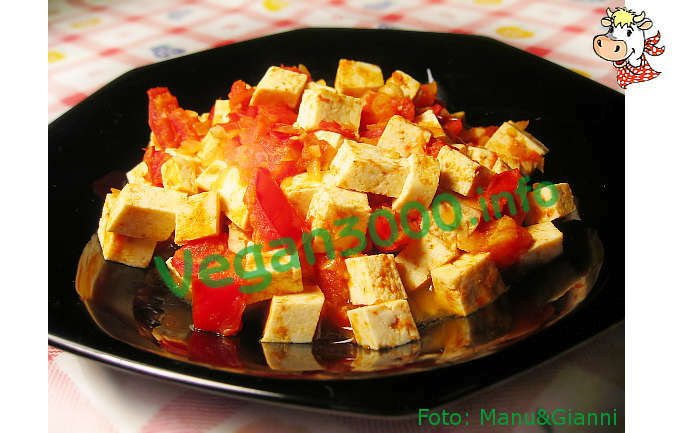 Add the tomato and after a couple of minutes tofu cut into cubes of about 1.5 cm. You can serve hot accompanied by vegetables or as according as a starter at room temperature.